The last available Collector's Ed. in NZ! 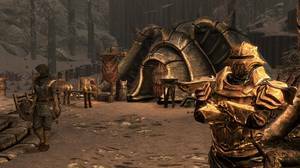 The Empire of Tamriel is on the edge. 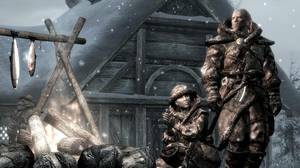 The High King of Skyrim has been murdered. Alliances form as claims to the throne are made. In the midst of this conflict, a far more dangerous, ancient evil is awakened. 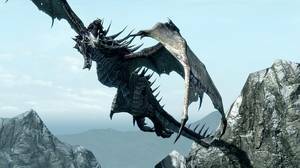 Dragons, long lost to the passages of the Elder Scrolls, have returned to Tamriel. 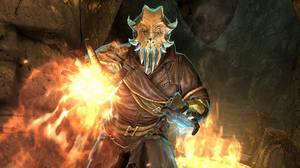 The future of Skyrim, even the Empire itself, hangs in the balance as they wait for the prophesied Dragonborn to come; a hero born with the power of The Voice, and the only one who can stand amongst the dragons. To celebrate the launch of The Elder Scrolls V: Skyrim, we're giving away four prize packs including a Collector's Edition that's already sold out on all platforms in New Zealand! Simply answer the question above, and you're in the draw. A copy of The Elder Scrolls V: Skyrim on PC. 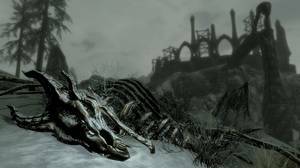 Alduin Statue. Created in conjunction with the IP Factory, this collector’s only statue stands 305mm tall and is made of high quality PVC. 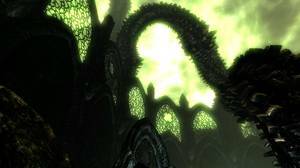 Modelled from actual in-game 3D digital files, it showcases Alduin, the World Eater. He stands perched atop one the game’s many dragon walls that teach the player the lethal language of dragons. ‘The Art of Skyrim’ Official Art Book. Featuring over 200 pages of striking, full-colour illustrations, sketches and models, this stunning 238mm x 308mm coffee table book showcases the characters, creatures, environments and weaponry of Skyrim. With a foreword by game director Todd Howard and commentary from Bethesda Game Studios artists, readers will be guided through the game’s iconic visual style. ‘The Making of The Elder Scrolls V: Skyrim’ DVD. This documentary DVD contains exclusive, behind-the-scenes footage, including interviews with the Bethesda Game Studios team as they take you from concept to creation and provide insights into the story, gameplay, setting, legacy of the Elder Scrolls franchise, and much more. Entries close midday 15th November 2011. You must be age 18 or over to enter the competition. Prizes not claimed after 7 days may be forfeited. You're not a unique snowflake.